Enrich Front contact or customer data with Salesforce Opportunities to streamline your team's performance. Front is an efficient tool for combining all of your team's communication channels. Salesforce data is an important asset to get the full picture of who your team is talking to, and how your opportunities are connected to your Front conversations. This flow demonstrates the how to join Salesforce Opportunity data to Front data. You can create reports containing data from both sources and create dashboards or emails that give a complete overview of your team's performance. 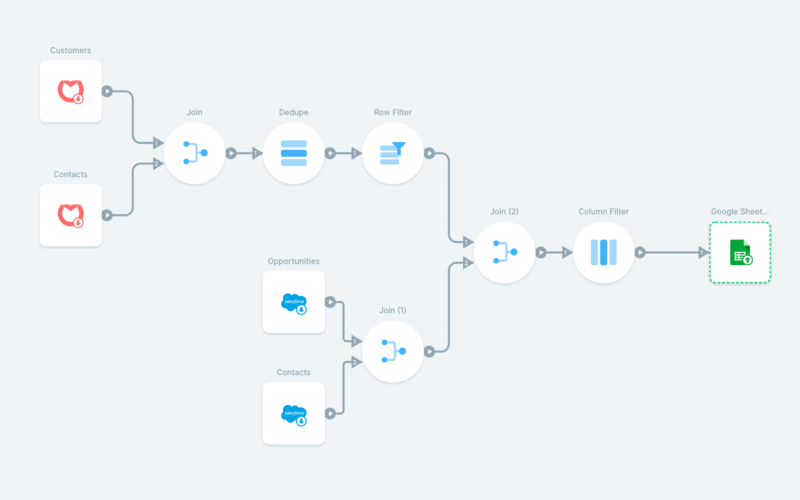 In this flow, Front data is joined to Salesforce Opportunities with the Join transform. The key columns used to join the data contain email addresses.